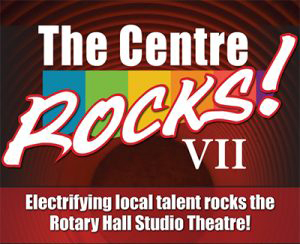 Local musical talent electrifies the Rotary Hall stage with The Centre Rocks! The Chilliwack Arts & Cultural Centre Society will team up with musicians from our very own back yard to bring the community exciting rock concerts at The Centre throughout the year. This is an incredible opportunity for both the musicians to play, and for patrons to enjoy, live music as some of the amazing local musicians showcase their talents in an intimate cabaret style atmosphere in Rotary Hall. Come to the concerts and feel The Centre Rock!